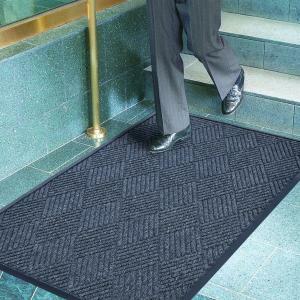 MatTek offers a selection of commercial entrance mats with superior dirt-trapping capabilities. Our entrance mats also reduce the risk of slips and trips, protect floors from wear and tear and help reduce cleaning and maintenance costs. At MatTek, we manufacture our entrance mats using materials sourced from the world’s top suppliers. This ensures world-class quality at competitive prices. We have a dedicated and trained customer support team ready to provide immediate assistance and prompt deliveries throughout Australia. Our industry experience, together with our commitment to product and service excellence, sets us apart from the rest. Choose our products to experience unmatched quality and great value. First impressions do count and your customer’s depiction and perception of your business is paramount to your company’s success. Entrance rugs can be the difference between a positive and negative first impression of your business as they can create a warm and inviting vibe for everyone that steps over the threshold to your premises. To ensure a good first impression, you’ll need to invest in a high quality entrance mat that best represents your brand and your company. And for that, we’ve got you covered! 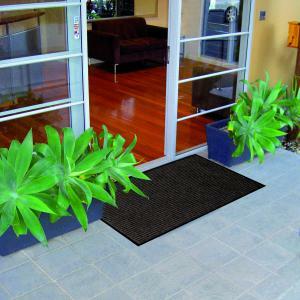 As Australia’s most trusted matting supplier, we specialise in manufacturing the best quality door mats for all kinds of commercial, industrial and specialised applications. All our mats are highly absorbent and are designed to remove deep-set dirt that’s attached to the shoes of your customers and staff. Although our entire range of entrance mats is absorbent, some of our customers require a higher level of absorbency. We designed these industrial strength and highly absorbent mats for locations such as the entrance to shopping centres and universities and for areas around drink fountains. 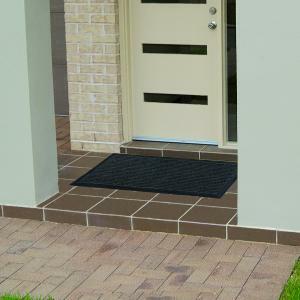 We pride ourselves on offering the best quality entrance matting solutions for many businesses throughout Australia. The materials and fibres we use to create our entrance mats are sourced from the best suppliers around the world, enabling us to set a standard of quality that’s unrivalled. Despite offering such a superior level of quality, we try to keep our prices as low as possible. We do so by keeping all our manufacturing in-house, and we pass the savings that we make onto you, our customer. Our entrance doormats are available in a huge range of different sizes, designs and styles to suit all kinds of interiors. We’ve also got mats that are suitable for indoors and outdoors and we’ve got options that are specially designed for different levels of footfall. And, if you’d like to get a custom welcome mat that’s made to your exact specifications in terms of measurements and design, we can work with you to create the perfect solution for your business. 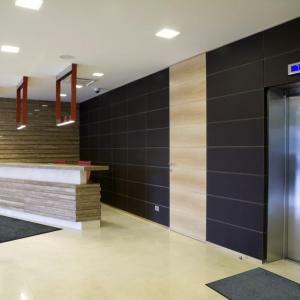 Designed to enhance entryways and keep floors clean, with powerful scraping and absorbing capabilities. Suitable for indoor applications. About 80% of water and dirt is tracked into buildings through footwear. 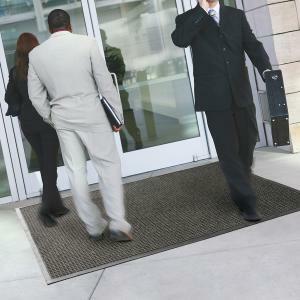 MatTek’s high-quality entrance mats are specifically designed to stop it at the door, maintaining a clean, safe entrance. 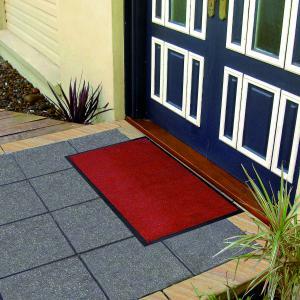 Our entrance mats are available in a variety of features and designs to meet different needs and complement any interior decor. They are ideal for use in various establishments, including motels, shopping centres, universities, shops, factories, offices and drink fountains. We offer Absorba, Floorshield, Esteem Ribbed, Ribbed Mat, Prestige Mat and Wondersorb – each with its own specialist purpose. The range includes mats suitable for indoor and outdoor use, and for various levels of traffic, ranging from low to high. Absorba, our most absorbent mat, is best for high-traffic areas where maximum water absorption is required to prevent slips and falls. We also have medium duty, versatile mats that effectively prevent trip hazards. Sizes can be custom-made to your measurements and requirements. Use any of our commercial entrance mats for locations that need protection against slips and falls and lower maintenance costs. Check out our gallery or contact us today for more information.